A good rear bike light is a huge asset, in terms of visibility and road presence. Even in the daytime, a rear light will help to alert other traffic to your position on the road. 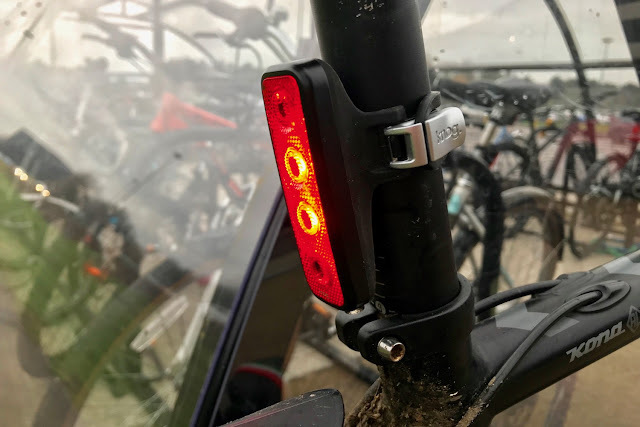 The latest Knog Blinder rear light - the Knog Blinder MOB V Four Eyes, is a great all-weather option. I have tested Knog lights for many years, and they always perform in terms of functionality, and simplicity of use. The new Knog Blinder follows suit. The light mounts up easily to any size of seat post (including aero seat posts) using a variety of rubber straps. Once on the bike, it is easy to turn on, and then to toggle through the five different light modes. On maximum FLASH, the Knog Blinder V4 will output 44 lumens of light, and last for 4.5 hours. On Eco mode, the light will last for a whopping 55 hours of burn time. When it comes to charging, it couldn't be easier; you simply remove the unit from the bike, and plug it straight into a USB drive on a computer, or a USB mains plug. Charging takes 4-5 hours, in my experience. My only criticism of previous Knog light designs, is that in the past I have experienced cases where the rubber mounting strap has failed. 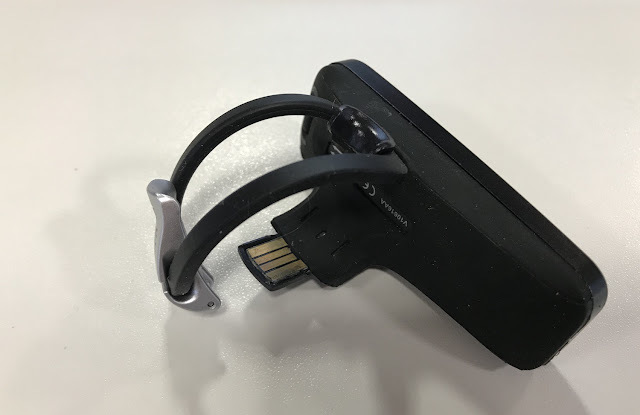 This latest version adopts a better approach, where the rubber strap is replaceable and removable; so if it does fail, it doesn't write-off the light. A good development from customer feedback. Overall, this is another great light from the Australian brand. Seriously powerful, and a great waterproof and refreshingly simple design.